Chaos Control is one of the prettiest CD-i titles to look at -- and unlike other beauty-contest CD-i discs, it's also fun to play. 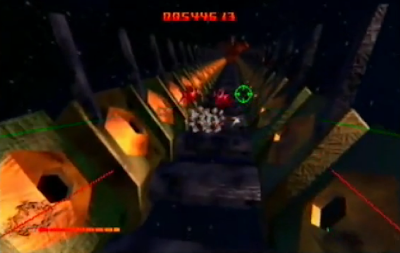 The game puts players in the cockpit of a space-fighter, desperately trying to punch through an invasion fleet and... of course... Save The Earth. 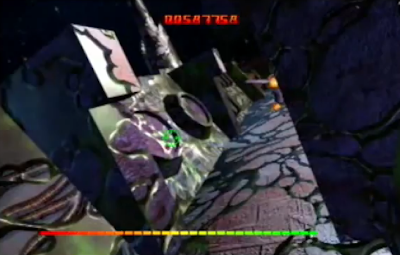 As flying games goes, Chaos Control is of the ''railroad tracks'' ilk, meaning you fly through the same terrain the same way every time. The ship flies itself, you just have to shoot. Fortunately, that assignment will keep players plenty busy. 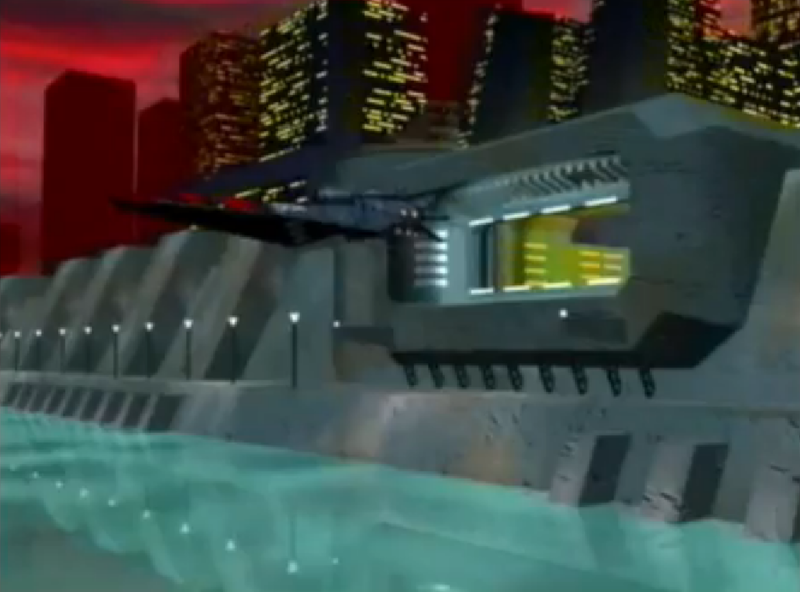 As you fly furiously through cityscapes, through space stations, etc., you'll come across alien ships, ''mobile-suits'', tanks, etc., some stationary, some flying. Moving your cursor on to them and pressing the button fires your guns. But to keep things interesting, you can only fire so often before overheating your guns -- as a practical upshot, success depends on making quality shots. 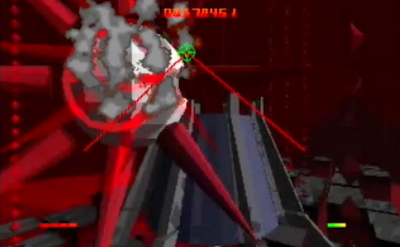 As the alien mecha returns fire, a shield guage on the bottom of the screen diminishes. When it runs out, the game ends. There's no way to replenish it -- no ''1ups'' or recharges to pick up -- short of finishing the entire level. One other thing to watch for: the cursor turns yellow when it's pointed at a friendly object, such as one of your squadron members. Try not to shoot them! 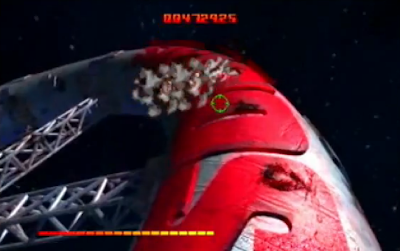 In Chaos, the same alien ships show up in the same places at the same time in every game. 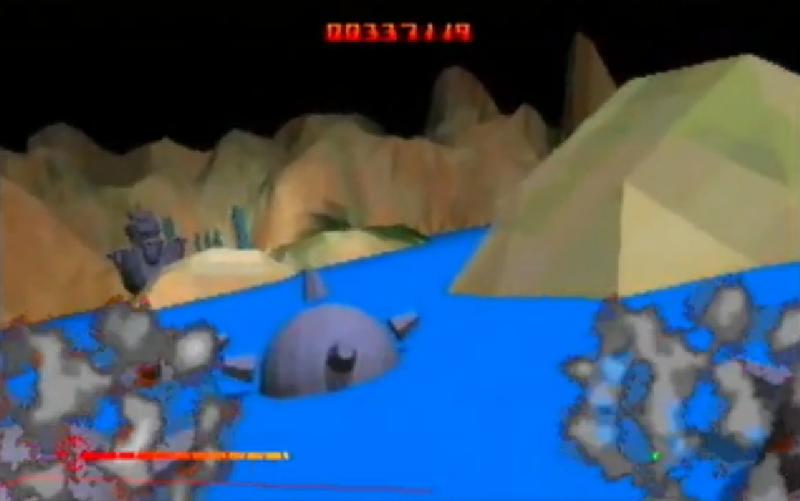 That's because of how the game actually works -- the terrain and the alien ships are pre-recorded digital video being unspooled from the disc. 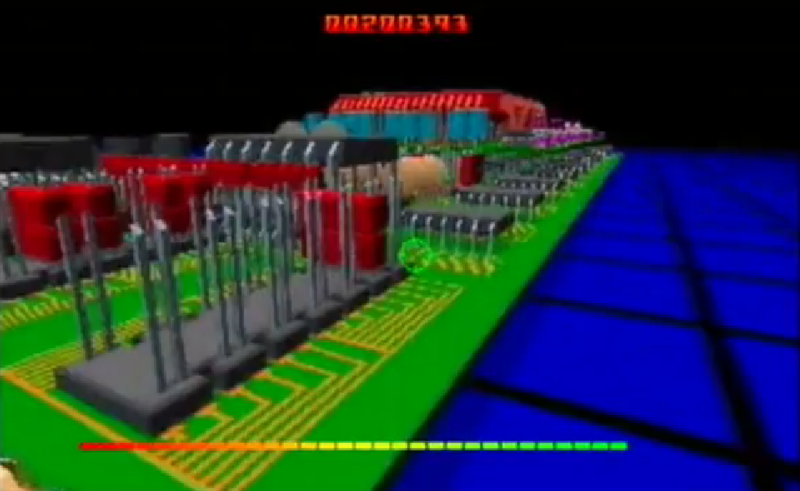 The CD-i superimposes a target and the various shots (yours and theirs) on top of this video. When you hit a ship, an explosion and smoke is drawn on top of the ship until it disappears off the screen. Chaos is also distinguished by a faux-anime storyline that is played out in animated sequences between the action sequences. The heroine who you're playing is ace pilot Jessica Darkhill, whose wingman and One True Love has been killed in an earlier battle with the Kesh Rahn, an alien fleet that's come to conquer the Earth. Jessica must first punch through the front lines to get to a base in Manhattan, destroy a computer virus in a virtual-reality world, then take a prototype ship into space and destroy the alien mothership. The look of the game elements actually show the title's strongest design skils. The larger Kesh Rahn ships are appropriately creepy, bulbous behemoths with pointed spikes. They're backed up by robot-like mobile-suits, serpentine ''boss'' mecha, etc. The flying is at times claustrophobic, dizzying, and desperate. All of this has been rendered by supercomputer and when replayed in full-motion video, it's a sumptious shoot-em-up. 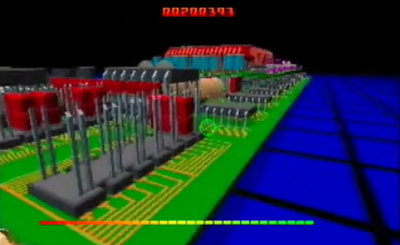 The game comes from France's Infogrames, who designed last year's feeble Kether. 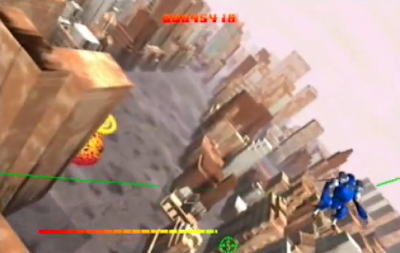 That game's sole highlight was its sweeping flying sequences, an idea developed further here. Having said all that, Chaos Control has two significant game-play flaws that prevent it from achieving true greatness. The first is simply that the level designs don't live up to the potential of the game-engine. The first level, in which you fly past the Statue of Liberty and into the wrecked urban corridors of Manhattan, is easily the best, and even it seems to go on aimlessly near the end.